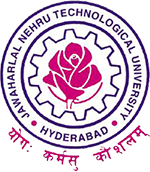 Sub: JNTUH, Hyderabad – Examination Branch –B.Pharm I Year II Semester Regular/Supply (R17REGULATION) & I Year II Sem (R16) Supply & I Year I Semester (R17) & I Year I Sem (R16) and I Year (R15, R13, R09 ) Supplementary Examinations June-2019 Notification-Instructions to the Principals–Reg. The Principals of the constituent and affiliated B.Pharmacy Colleges are here by informed that the University Examination Branch issues notification for the conduct of B.Pharmacy I Year II Semester Regular /Supply (R17 REGULATION) & I Year II Sem (R16) & I Year I Semester (R17) & I Year I Sem (R16) and I Year (R15, R13, R09) Supplementary Examinations June-2019. B.PHARM I YEAR SUPPLEMENTARY EXAMINATIONS (For R15 – 2015 REGULAR ADMITTED BATCHES ONLY, For R13- 2013 AND 2014 REGULAR ADMITTED BATCHES ONLY, For R09- 2009, 2010, 2011, 2012 REGULAR ADMITTED BATCHES ONLY). Note : If any student applied for RC/RV and if the results are not declared by the time of start of registrations for exams., the candidates are advised to register as per the time schedule given in the notification even for the subjects in which they have failed and waiting for RC/RV results. However, if the candidate passes the examination in RC/RV results, the Principals are requested to take necessary steps to refund examination fee paid by the students for the subjects in which he/she passed and transfer the consolidated fees excluding the above amount. When the 4-2 exam fee notification.